Alzheimer’s Disease and other types of dementia are thought of as only happening to old people. The many diseases that cause dementia result in continuing brain damage, which is eventually terminal. They cause the classic symptoms of confusion, memory loss and personality change. Christine Bryden was only 46 when she was diagnosed with dementia in 1995 after experiencing symptoms of what she thought was stress, including terrible headaches, which is why she had a brain scan that showed the brain damage was already well under way. The prognosis was horrific, and she was told she had only a few years left before needing to go into a nursing home, and that she would die a few years later. 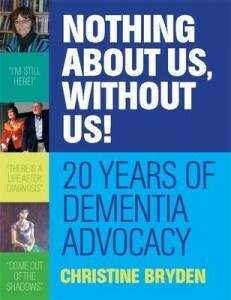 Rather than accepting the passive role expected of a person with dementia, including Alzheimer’s, Christine wanted to become a survivor, and did not want to be labelled with dementia, as that implied that she was no longer a unique person, simply because one day, a specialist diagnosed her with an illness of cognition. There are still no treatments to slow down the brain damage, and no cures for any of the many types of dementia. But there are medications to help people with dementia cope as best they can, despite continuing brain damage. Christine’s successful struggle to retain as much function as possible indicates that perhaps the brain can rewire itself. Even in an ongoing process of brain damage such as dementia, there may well be brain (neuro)-plasticity. On-going rehabilitation may help, just like it does for many people who have had a stroke. 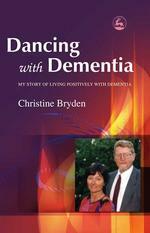 Christine has written four books about Alzheimers and Dementia. 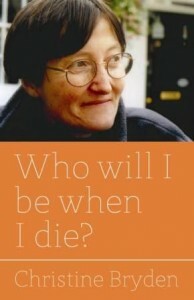 The title of her first book, Who will I be when I die expresses the fear she had about dementia which is supposed to rob you of your identity and personality. Even in the early days, a diagnosis of dementia can result in social exclusion, making the person’s struggle so much worse, as they try to cope with the trauma of their fear of the future, as well as grief at ongoing loss. The stigma that results from the stereotype of the later stages of dementia means that people don’t know how to relate to someone with dementia, so the person becomes isolated with their fears. Christine had a distinguished career, before she was diagnosed with dementia in 1995. At the time, as a recently divorced mother of three young girls, the news sent her into a tailspin, and was emotionally devastating. Yet she looked to the future with hope, and chose a positive outlook on life. So much so, that three years after her diagnosis, she met Paul Bryden, a former diplomat. Despite her prognosis, they fell in love and married; two super achievers, one embarking on an inevitable journey of decline. 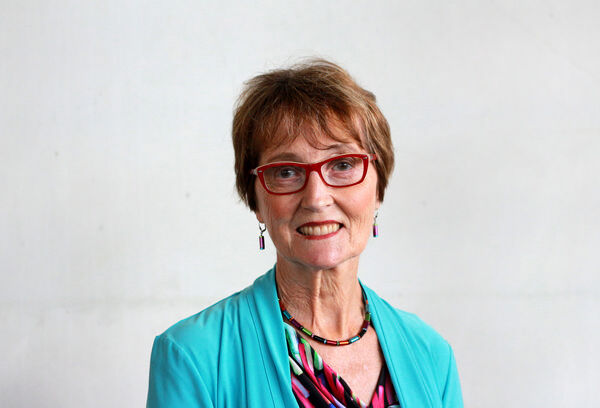 With his help, support and encouragement, Christine has been an active advocate for people with dementia. Christine charts her decline in her books. Most dramatically, she faces the question, “Who am I?” as her memory and cognitive function fade. She talks about what it feels like, and what you can do to help, offering care-giver tips and insights to people with dementia and their carers. Hers is an emotional and spiritual journey of survival and hope, accompanied by Paul, a loving and supportive husband and enabler. She has a positive outlook on life, despite the challenges she faces each day . 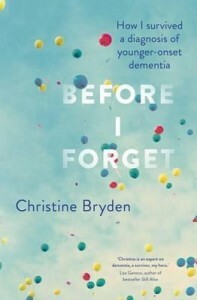 In her books, Christine talks frankly of her thoughts and feelings, as she looks at a new perspective on life through the lens of dementia. Christine is a survivor of dementia, and offers us a unique perspective of the struggle to cope with ongoing brain loss, with no hope of a cure. Yet Christine’s hope shines through all her writing and talks – her hope and faith are the bedrock on which she stands. More recently, Christine’s books have been (or are being) translated into 7 different languages including Japanese, Chinese, Korean, Czech, German, Dutch and Portuguese. To view the full range of Christine’s books and their available translations, please visit her BOOKS PAGE for a full list of publishers.